EIC volunteers believe incorporation is the right choice for Edgemont. These discussions are the results of our research and analysis. We encourage you to read our analyses of the issues, conduct your own research, contribute to the conversation, and make your own decision. As an incorporated village, what options would Edgemont have for police services? The Village will have sufficient budgetary capacity at Edgemont's current Town tax rate to choose among multiple options for the delivery of police services including an inter-municipal agreement ("IMA") with the Town of Greenburgh; an IMA with Westchester County; or a dedicated Edgemont Village police force. Would the Town of Greenburgh Police Department be willing to contract with the Village of Edgemont? Because the Town of Greenburgh provides good police services to Edgemont and has significant fixed costs in this department, the EIC believes that continuing to provide the same or similar services to an incorporated Edgemont under a fixed-percentage inter-municipal agreement (click here for an example) would be financially beneficial to the Town and motivate Greenburgh to negotiate mutually agreeable contract terms. Favorably, Town Supervisor Paul Feiner recently expressed his support for shared services. However, we cannot predict with certainty whether Greenburgh will ultimately be willing to enter into an IMA for police services with the Village of Edgemont, the exact cost of any such arrangement, or if the Edgemont Village Board of Trustees will pursue this option. How much would an Edgemont-Greenburgh inter-municipal agreement for police cost the new village? Accounts for 15% of unincorporated land area, 17% of unincorporated population, and 20% of all Town, State, and County roadways with the Town. Based on the above mix of ratios, we have assumed a 25% "blended" factor for contract estimation purposes. Under that assumption, Edgemont would be charged $6.75 million of the Town's $27 million GPD operating budget. We note that an Edgemont-Greenburgh IMA would likely include provisions for pro rata capital debt service (e.g. equipment utilized in service to Edgemont) and contract administration. Estimating those costs at $250,000, the total projected IMA cost is $7 million. Click here for the associated budget scenario. Town-village inter-municipal agreements ("IMAs") for police services are common in New York and encouraged by state laws. An incorporated Village of Edgemont could contract with the Town such that current police services do not change and Greenburgh continues to receive significant revenue from Edgemont. Would the contract cover the ambulance transport services currently provided by the Greenburgh Police Department to the unincorporated area? Yes. The primary "B" budget cost of EMS is GPD patrol officer stipends, which are embedded in the GPD salaries line item. Under an IMA, the Town would continue to collect all ambulance transport fees in the unincorporated area, and these revenues more than offset "B" budget EMS expenses. Advanced life support (paramedics) and ambulance capital costs are funded by the Town-wide "A" budget and as such would not be included in a Village-Town police IMA. Do we know the actual cost Greenburgh incurs to provide police services in Edgemont? The Town does not publish its actual cost to provide police services to Edgemont (or to any other area). Would the Westchester County Department of Public Safety be willing to contract with the Village of Edgemont? Yes. Westchester County Executive George Latimer has expressed interest in working with a new Village of Edgemont and has identified shared service arrangements as a general policy priority of the County. Governor Cuomo also supports shared service initiatives as a mechanism to lower the local tax burden. The Westchester County Department of Public Safety offers local patrol and specialized services via inter-municipal agreements to villages, towns, and cities. The County's police force--with more than 300 employees--historically has focused on parks, parkways, and specialized services, but has recently entered into local patrol contracts with the Village/Town of Mt. Kisco and the Town of Cortlandt as authorized by County law. What service level could the County provide to Edgemont Village? An IMA with the County Police would include dedicated 24/7 village patrols; resources specifically focused on Central Avenue; a ratio of 3.2 officers per 1,000 residents (vs. 2.7 we receive from Greenburgh today); dedicated supervisory staff and detectives; a local substation (potentially); and access to the County’s substantial pool of patrol and specialized resources that secure nearby County parkways, parks, and facilities. The service levels and costs written into the County's 5-year police contract with Mt. Kisco are helpful. Of particular interest is “Schedule A” which sets forth very specific, measurable service level requirements including dedicated, around-the-clock village patrols (which Edgemont does not currently enjoy as an unincorporated neighborhood of Greenburgh) and ready backup from the County's 300-plus staff and specialized resources. 2 police officers and one supervisor on the overnight tour. The Westchester County Department of Public Safety maintains a local identity in its policing of Mt. Kisco Village. The County provides Mt. Kisco with a dedicated, full-service corps of patrol officers and detectives as well as backup from the County's large and specialized staff. How much would an IMA with the County Police cost? Mt. Kisco incurred a cost of just over $6 million in 2017 for its above-described contract. Both the EIC's consultants and the County Office of Budget have advised that $6-$6.5 million is also a reasonable estimated cost for an Village-County police IMA (note: Mt. Kisco's population is 50% larger than Edgemont's). Click here for the associated budget scenario. Of course, the exact cost of an IMA with the County cannot be determined prior to incorporation, but rather would be negotiated between the governing bodies of the Village and County (should the Village wish to pursue this approach). Would the Village be required to finance a local police facility for the County under an IMA? However, if the Edgemont Village Board of Trustees desires one, a local station could be part of an IMA to create a home for the Edgemont "precinct." This would represent the first time since 1930 that Edgemont had its own station (that year, the Greenburgh Police Department moved its headquarters from Old Army Road to Tarrytown Road). How common is it for county police agencies to serve incorporated villages? In Westchester, the County only patrols locally in Mt. Kisco and Cortlandt. However, on Long Island, Nassau County provides police protection to 38 of its 64 villages. What are the advantages of a large police force? Enjoy ready access to significant backup (thereby reducing reliance on mutual aid). As an alternative to an inter-municipal agreement, could the Village of Edgemont develop its own police force? How much would that approach cost? 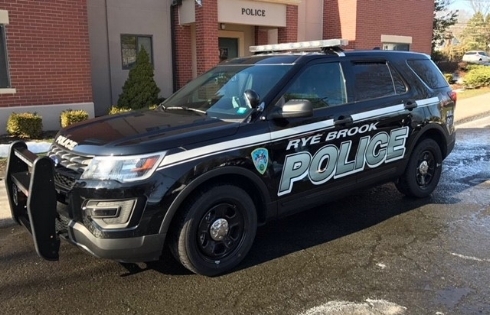 The Village of Rye Brook established its full-service police force soon after its incorporation in 1982. Local facilities, including an Edgemont-based police headquarters. Click here to review the budget scenario for the Edgemont Village Police Department police approach. The analysis was undertaken by William Connors, former Rye City Police Commissioner and consultant to the EIC. Total expenditures of nearly $6 million include operating ($5.3 million) and debt service ($500,000) costs. For more financial and operating information about police departments in comparably sized Westchester villages, click here for Rye Brook and click here for Pelham. Similar to the estimates for Edgemont, annual operating costs for each of those departments are approximately in the range of $5.5 million to $6 million. How would the Village of Edgemont document its police arrangement if it were to contract with the Town or County? Arrangements between local governments, such as the police agreement discussed above, are typically documented via inter-municipal agreements (“IMAs”). Like any contract, they are subject to negotiation as to mutually acceptable service levels and costs. IMAs are common in New York and elsewhere and shared initiatives for police and other services are encouraged by New York State legislation and policy. Would an incorporated Edgemont still be entitled to “enhanced” police services from the Town and Westchester County? County taxes, which covers a number of high-level specialized services including 911 dispatch, a special response team, K-9 units, bomb squad, and aviation. Would the Village of Edgemont have the added protection of a police mutual aid program? Yes. Regardless of how the Village delivers police, Edgemont--just like all cities, towns, and villages in Westchester--would be a party to the Westchester County Mutual Aid and Rapid Response Plan ("MARRP"). Under the MARRP, each agency receives (and agrees to provide) assistance and cooperation to: “provide the uninterrupted delivery of police service during those situations that exceed the resources of any individual department.” The municipalities in Edgemont’s “zone” are the six Greenburgh villages, the Town of Greenburgh, the Town/Village of Scarsdale, the City of White Plains, and the City of Yonkers. Favorably, the entities within Edgemont's mutual aid zone include many nearby large units of government with sophisticated services and equipment. Bottom line: is the Village of Edgemont guaranteed police coverage upon incorporation and perpetually? Will we have the resources? Yes. Town Law 150 clearly states that a town must provide police services, indefinitely, to a village that does not have its own police force or has not secured police protection through some other means. The Village of Edgemont would receive police services from the Town of Greenburgh for as long as necessary (assuming the Village does not provide for one itself, either directly or via contract). In 1995, the New York State Attorney General confirmed that towns may not offer such police services selectively: "The legislative intent behind this statutory framework is clear... if a town maintains a police department, it is required to provide law enforcement services throughout the town, including any village which does not have its own police department." Edgemont's ample per capita revenues and comfortable projected budget surplus will afford our governing body the flexibility to secure outstanding police protection services under multiple scenarios.